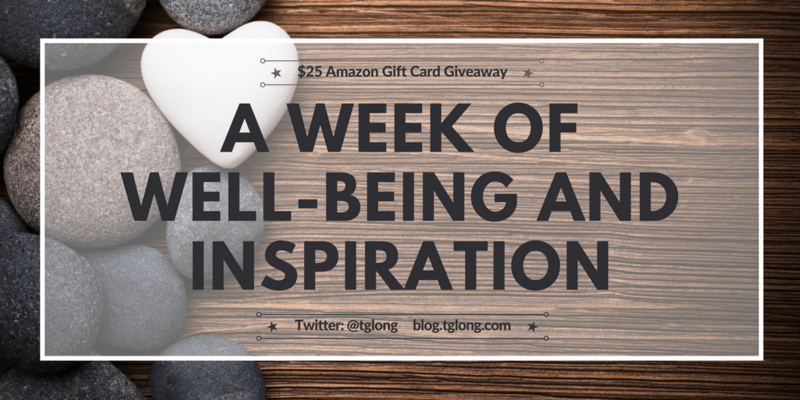 Thank you for joining me on the final day of our week of well-being and inspiration! A private person, and—as some of you may be surprised to hear—a closeted introvert plagued by social anxiety, I’ve struggled in my own life to build and sustain a nurturing community, so this notion of belonging to a supportive network of writers—and the ease with which we can build friendships online—is close to my heart. If you feel so moved, please join the conversation. Either way, thank you so much for stopping by! 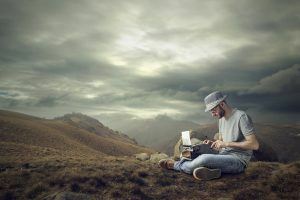 Let’s face it: writing is a lonely profession. For the majority of our workday, we sit behind a desk, alone, cavorting about in our own mind. Lost in thought, we—perhaps more accurately, I—loathe interruption: thoughts are finicky little stinkers, flitting about at will, a thought interrupted too often a thought lost. Chronically lonely people have higher blood pressure, are more vulnerable to infection, and … are more likely to develop Alzheimer’s disease and dementia. Loneliness [also] interferes with a whole range of everyday functioning, such as sleep patterns, attention and logical and verbal reasoning. And loneliness, says Michael Bond, messes with the brain. If the physical and mental health benefits of companionship don’t provide enough motivation to engage in social interaction, what if socializing could actually make us more successful? 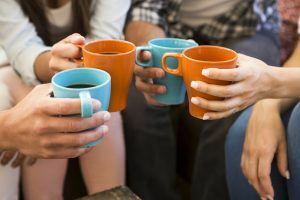 For an introvert, as many writers are, “start making friends” can be a tall order, and itself a source of anxiety. But building a network doesn’t have to be anxiety provoking. Reaching out on social media sites to other authors or readers, participating in chats that interest you or striking up an online conversation with people with whom you share common interests can offer welcome companionship, gratification and support without your ever having to leave the comfort of home. 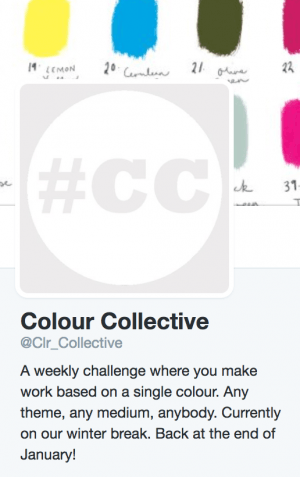 Friendships form through online motivational and support networks such as the Colour Collective challenge, @Clr_Collective – where participants create and share work based on a color of the week, selected by Colour Collective – or within the social media groups using popular hashtags like #Teacher5aDay or #365daysofselfcare in which participants share tips and inspiration for self-care and celebrating personal well-being. Participating in online forums discussing subjects you’re interested in, or following your favorite blogs, responding to posts, or commenting on news or feature articles on commercial sites can all help you to build a community of like-minded people, while at the same time filling your idea bank with interesting source material or novel ways of approaching or analyzing your work. Online challenges are yet another avenue for meeting people, building community, and improving your chances for success. During National Novel Writing Month, for instance, participants commit to writing 50,000 words in the month of November. While you may not have a bestseller by the end of November, finishing with 50,000 words—a novella or two-thirds of a short novel—will go a long way toward keeping you on track to finish that new project you’ve been putting off—or itching to start. Online writers’ groups, critique groups, writers’ workshops, and writing classes abound: a quick Google search produced 12,980,000 results. Participating in any of these groups, workshops or classes, and collaborating with other authors, whether more experienced or less, turns us into lifelong learners and has the potential to enhance creativity and unlock a whole new world of ideas. If you’re hankering for a taste of the larger book scene, there is a wealth of conferences and events, such as Indie Author Fringe, an online author conference hosted by the Alliance of Independent Authors, around the London Book Fair, Book Expo America, and the Frankfurt Book Fair. Last, but by no means least, there is of course good old-fashioned in-person networking—through writers’ association meetings and sponsored events, as well as workshops, festivals, conferences and college or community courses – where, as with their online counterparts, authors meet, hang out, and talk seriously about books and writing, offering ideas and insight, motivating us to work harder, explore new ideas, push boundaries—a circle of friends inspiring friends to new heights. If you have any tips to share on creating a writer’s community, please join the conversation!